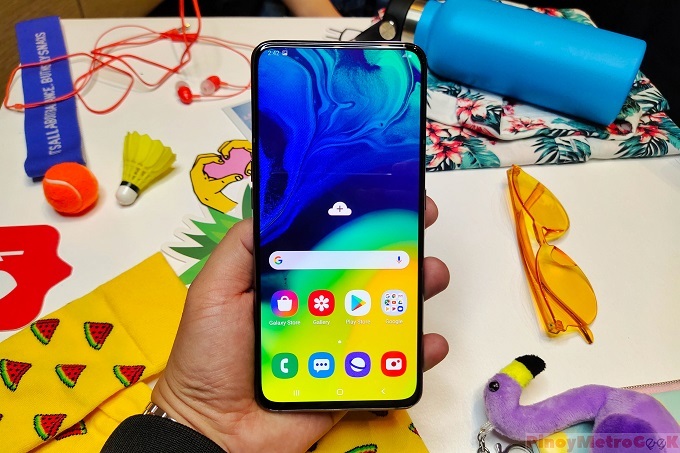 Samsung Galaxy A80 is the company's first smartphone to feature Rotating Triple Camera and All-Screen New Infinity Display. Samsung Galaxy A80 completes the lineup of the company's A series. The handset is the most uniquely designed device of the pack. It features 360-degree rotating camera and an all-screen display. 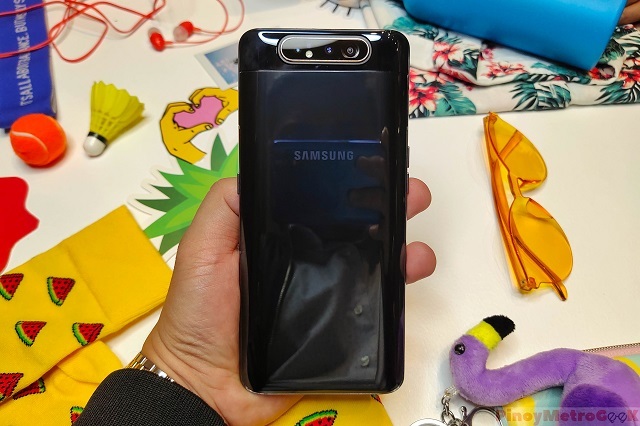 This also means that the Galaxy A80 is the first-ever Samsung smartphone that packs both rotating camera and bezel-less full-screen New Infinity display. 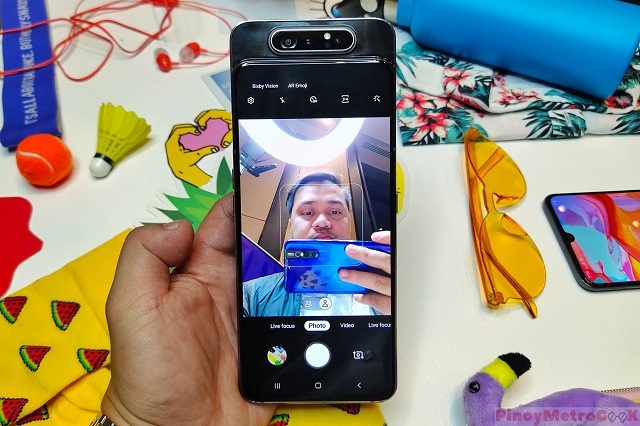 The Samsung Galaxy A80's triple-lens camera set-up features a rotating mechanism that seamlessly integrates the main camera and doubling it as a selfie camera. This camera system is specifically defined by the main 48MP unit which is said to shoot vivid images day and night. On top of that, there's a 3D depth camera that supports Live Focus videos. Lastly, the wide-angle camera captures 123-degree viewing angle as the human eye. The camera also highlights the Super Steady mode which effortlessly helps capture content and reduce video shake. The Scene Optimizer is also a handy feature that can recognize and enhance up to 30 scenes. The Samsung Galaxy A80 boasts a whopping 6.7-inch FHD+ Super AMOLED display and supports Dolby Atmos surround sound. Its 3700 mAh battery also supports Super-Fast charging at 25W. Specs-wise, the handset is powered by an octa-core chipset that ticks up to 2.2GHz and 8GB of RAM. You'll have 128GB of configuration; however, microSD card is not supported. Other features include on-screen fingerprint sensor and Android 9.0 Pie (One UI). You can get the Samsung Galaxy A80 in both Angel Gold and Phantom Black. As of this writing, price is yet to be announced in the Philippine market. It will be available internationally on May 30.